This clock was my Christmas present from T., who worked on this in secret for days. It's a pretty big piece and he was learning Affinity Designer as he went (since he prefers Fusion 360). 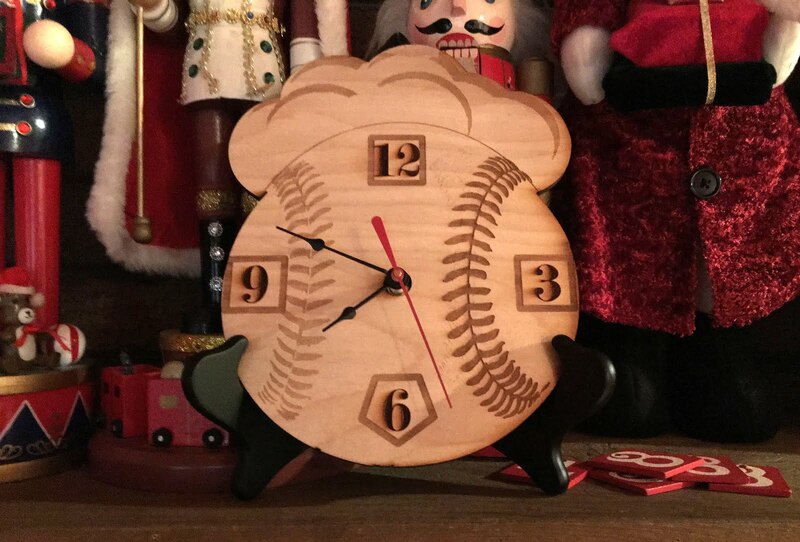 Our baseball team is called the Storm, and we constantly joke about the rain cloud that follows me around on game/practice days so this clock is perfect!